Radical Serological Pipettes are manufactured exclusively with high-grade polystyrene (GPPS) which ensures excellent clarity. 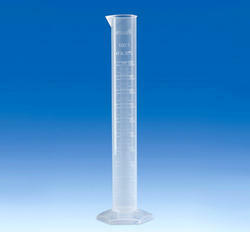 The filter prevents overfilling and is suitable with all brands of pipetting apparatus. Precise, Bold & Black Graduations with clear scale ensure accuracy. The policy made by our company makes us occupied in manufacturing a quality assured range of Serological Pipettes. - Individually wrapped graduated pipettes with paper/plastic peel-pack. - Unique color-coded plug allows easy size identification & inhibits aerosol contamination. - Sterile, individually wrapped and certified nonpyrogenic and DNase, RNase-free. - Lot numbers printed on each pipette wrapper. - Accuracy within ±2% at full volume. We are offering of Serological Pipettes. Manufactured from a single piece of high-grade Polystyrene- no welding at all which ensures that no liquid can be trapped at such locations. Available in graduated serological , Graduated Mohr’s type and Volumetric type. Available in all capacities with high accuracy. We offer Glass Serological Pipette.